You might not to gamble with a bookmaker but in fact you probably do it every day. Ride a bike? Consciously or not you’ve worked out the risks and the benefits and decided to go for a spin. Similarly we can take all kinds of risks, from fun things like asking a stranger out on a date to mundane decisions like the level of insurance cover for a family car. But many do bet on outcomes in sporting events and cycling is no different… or is it? Well cycling is a sport where you can have 200 riders on the start line so picking the winner is harder. Even in a flat race a climber could upset the odds, like when Richard Virenque won Paris-Tours. Pick Cavendish to win a sprint stage, the most certain outcome these days, and you can still lose. But it’s not just the big names. 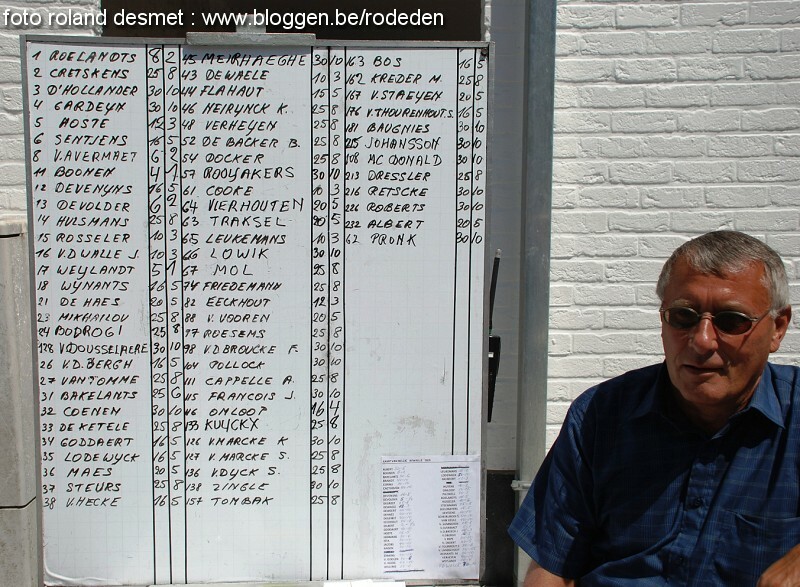 Visit a Belgian kermesse and you can often bet on the local race. Here there’s no online betting but a man and table with slips of paper in exchange for your money. It’s not always like this, for example betting on cycling races in France was only legalised last year. For me the interesting thing is the odds. It’s not whether a particular rider wins, it’s the price. If you want to put some money down, what is the reward. Or the inverse, namely how much money do you have to put up in order win a certain amount of money. What this amounts to is the quantification of the race result, a numerical display of the likely race results. It goes from “I reckon he’ll win” to people displaying ratios and using hard earned cash. But the odds also reflect demand, they can change when lots of people start betting in a particular direction. The price the odds in order to tempt people to bet on some outcomes which they don’t believe are quite as likely as their punters do. Bookies play the “spread”, taking a margin on one outcome vs another, for example people betting on Sprinter A winning vs Sprinter B never quite involves geometrical probability. Everything else being equal the bookmaker only needs to win 51 out of 100 bets to be up. It’s like the green square on roulette wheel that gives the house an in-built advantage, over time they win. Contrary to what you might think though, it’s not always about narrow margins. Bookmakers often want you win, after all they need publicity and stories of people winning to mask the fact that most bets lose. If you pick a winner and collect a juicy payout it’s hard not to attribute the result to luck. But many believe they have a “system” or just superior punditry. The winnings aren’t taken away but often gambled on upcoming races and results and, sadly for some, more often than not the bookmaker wins back the funds. Cycling is an odd sport to bet on. When you look at the odds they’re never that appealing. To me it looks like the market is small and so those offering odds have to take a hefty margin. As a result the prices aren’t that good. Plus I think fans realise it’s hard to pick a winner. On top of this you don’t have loyal supporters betting on their favourite team to win, as you might see in soccer or the NBA. There’s also the worry of corruption. With money riding on the results, what about races being rigged? Well the answer is that this probably happens already but to a minor extent. For example last Friday we saw Alberto Contador “gift” the stage win in the Giro to ex-team mate Paolo Tiralongo. But unlike, say, a tennis or soccer match, no one rider can feign injury or make a mistake to meaningfully alter the outcome of a race. It’s incredibly hard to win a race but very hard to make someone lose the race as well. Nobody can predict the future but a bookmakers tries to put a price on the most likely outcomes. Surprises come along and this is the essence of sport. Personally I don’t bet as I’d find it hard to turn a profit and find the racing is often exciting enough. The Tour of Flanders or a mountain stage is nerve-wracking enough without having to see money at stake. Footnote: there was a tiny storm in tea cup a few weeks ago when one Aussie cyclist appeared to tweet about betting on a race result, picking a rival rider when he had a team mate in the mix for the win. It was nothing in the end, the rider in question has someone to manage the twitter account and it seems they were behind the message, not the rider. Sad to see number 17 in the list of riders on the board. Nothing as sweet as winning a few euro on a bike race. Best every was 50eur on Landis to win tour morning after Paris Nice when he was 50-1. Unlike Wada/UCI it is first past post system so you dont have to pay back after doping! Key to betting is either a) dont bet!! b) bet v.small n regular 5eur for enjoyment (say 10times in year) c) bet very seldom but slightly bigger 50-100eur / once per year when odds+ opportunity arise. Problem is too many people cannot control there betting 🙁 or try to win big always!! As much as I love winning money, I hate losing money more, as such I do not gamble. Having tried it a few times several years back and it does add excitement but I consider myself very lucky to walk away the small margin of profit compared to the risk involved. I’d rather have a nice meal out or something with a guaranteed benefit. Good post. I like betting, but in cycling it really is ludicrous. I remember an ex-pro told me the reason Poulidor never won the TdF was because he was too cheap! You get the picture…. Now of course I am dying to know who the mysterious Aussie you talk of is? It shouldn’t matter if it was someone else twittering, so you can tell us! My bet is on McEwen, fwiw. I like to spend my time playing http://www.rouleurderby.com which is a para-mutual fantasy cycling game. I have found it more enjoyable than the other fantasy games out there. I’ve won thousands on track cycling bets in the past year. I also had to bet thousands!! It’s not hard to figure out who is in form and who isn’t on the track. To me risks associated with road cycling are high, very high and make it to unpredictable in most cases.